The article hammers out some of the vital robin bird facts that are not available widespread. Basically Robin bird is a small-sized bird and was initially found in Asia and Europe. 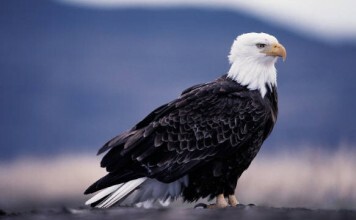 However, with the passage of time the beautiful bird has stumbled upon various continents such as Africa and North America together with New Zealand. The robin bird in its appearance, resembles with the nightingale. These are the omnivorous birds and their primary feed is plants and insects. The other name of robin bird is American Robin bird. 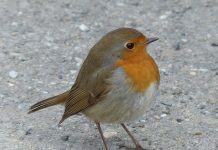 The length of the robin bird is 23 to 28 cm (10 to 11 in). The wingspan of robin bird measures about 30 to 40 cm (12.2 to 16 in). These beautiful birds weigh about 59 to 94 g (2.1 to 3.3 oz). Some species have pure black head whereas some have grey-color head. The color of the breast is reddish-orange with the brown color at the back. Robin bird facts tell us that the bird-color differs, depending on the type of species. Robin bird has brown feet and brown legs. There is a slight difference of plumage between male and female in that the females exhibit a dull color as compared to the males. The breeding range of robin bird starts from Alaska, Mexico and goes to Canada, and northern part of Florida. Robin bird usually migrates during the months of August and September. The greatest migration of robin bird took place back in 2003 from South of Canada to the Gulf Coast. The birds generally like shady trees and lawns for breeding purposes. Robin birds akin to wide areas in winter season. The estimated population of robin birds is 320 million. Robin birds are also responsible for spreading viruses that are dangerous to humans. Just like other birds, robin bird remains vigorous during the daytime. During summer these birds tend to be slightly defensive and become less sociable. The breeding period lasts from April to July. The height of the nests is 1.5 to 4.5 meters (5 to 15 ft) above the ground. The females are responsible for building nest and if males didn’t like the nest they ruin it within few seconds. They are not the hesitant birds in that they apt to build their habitats near human population. Females alone incubate (sit on the eggs to get them hatch) eggs. The hatching period is 14 days. Chicks need two to three weeks to begin their first flight. The average lifespan of robin birds is 2 years. The oldest robin bird lived on was 14 years old. 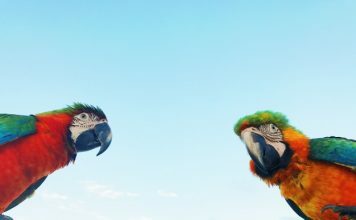 These birds have a singing voice. The length of the eggs measures about 2.8 to 3 cm (1.1 to 1.2 in). The width of the robin bird’s eggs is 2.1 cm (0.8 in). 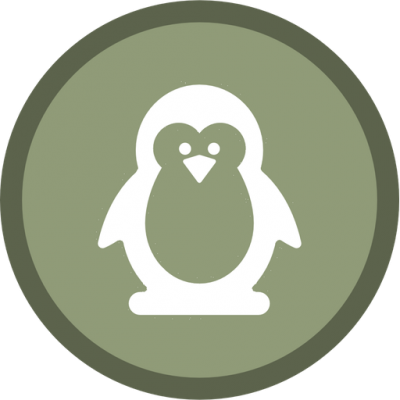 The nestling period is 10 to 14 days. The color of the eggs is light blue. The height of the nests is 3 to 6 inches; whereas the width measures about 6 to 8 inches. Robin birds build their nests by using materials like rootlets, feathers, faint branches, grass and twigs. 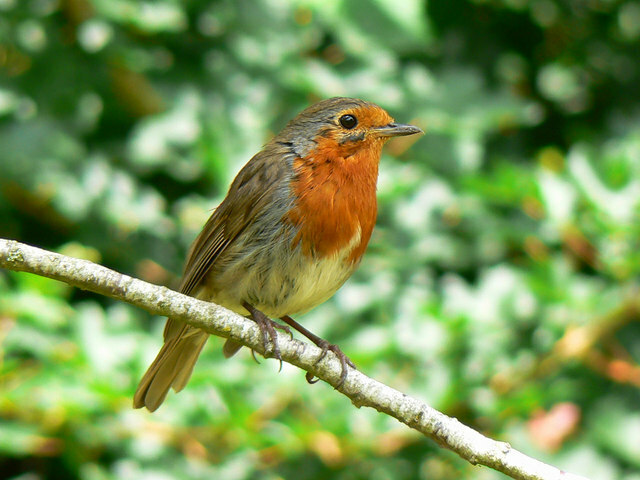 More than 40% of the robin bird’s diet comprise of invertebrates, for example caterpillars, grubs, grasshoppers, and beetle. More than 60% of the diet consists of fruits and berries. One of the regular diets of robin bird is earthworms. Robin bird sings all through the night. Robin birds are preyed by various predators such as snakes, Blue jays, squirrels, common Grackles, American Crows, and few birds. While chicks are eaten by snakes more often, hawks and cats are responsible for taking adults. Because of this much threat, robin bird stay alert all the time even when it is in flocks.